Look at our large choice of leotards, dresses and short unitard for your upcoming modern and contemporary dance competition. In this category, you will find several models among the biggest specialized brands. Do not hesitate anymore! It’s here that you will find the ideal outfit to participate in your competition, in group or in solo. 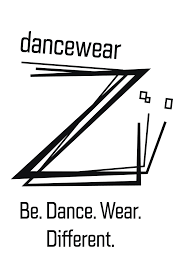 Subscribe you right now on our website to receive all our offers by email and order your dancewear in a few clicks. 48h delivery. Sleeveless leotard.Neckline in elegant satin.Games straps on the body with yoke of satin.Fully lined front.Microfiber. Mademoiselle danse likes: the very delicate cut of the leotard. Sleeveless dance leotard with a button-down collar. Very elegant with its unique cut and its spotted stretch tulle. It will embellish your back wonderfully. Two round buttons on the neck to close the leotard. Full front lining. Microfiber. Dance leotard women Sheddo thin straps flamingo.Round neckline front and on the back with a stretch tulle yoke.Lined on the chest.In mat lycra. Mademoiselle Danse likes: the originality on the back with the stretch tulle. Dance leotard women Sheddo thin straps. Green.Round neckline front and on the back with a stretch tulle yoke.Lined on the chest.In meryl. Mademoiselle Danse likes: the originality on the back with the stretch tulle. Dance leotard women Sheddo thin straps. Purple.Round neckline front and on the back with a stretch tulle yoke.Lined on the chest.In mat lycra. Mademoiselle Danse likes: the originality on the back with the stretch tulle. Dance leotard women Sheddo thin straps electric blue.Round neckline front and on the back with a stretch tulle yoke.Lined on the chest.In mat lycra. Mademoiselle Danse likes: the originality on the back with the stretch tulle.